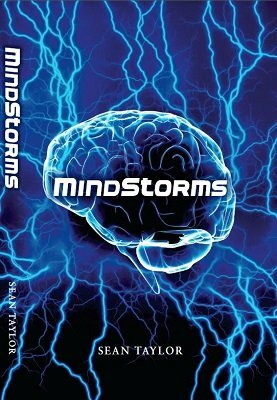 MindStorms is the first mentalism book from Australian magician and mentalist Sean Taylor. This unique publication brings together more than 20 routines from Sean's working repertoire and also details his feelings on the performance and presentation of mentalism. The descriptions of each effect are detailed way beyond those usually included in magic publications and are littered with observations, advice and handling tips which can only come from hundreds of performances of the material. Several of the items in the book have been in Sean's armoury for many years and several are still in his current working act. At least three of them could have been released as standalone items and would, in the right hands, be worth the price of the book. The Book Master - The Any Book, Any Page booktest system. No memory work, no forcing and no pumping. The Throne Room - Sean's approach to the classic chair test. Four Audience members sit on four chairs and you have correctly predicted their seating position, not once but twice! News Of The World - A newspaper test where the entire audience helps to select a single word from dozens of newspapers. A single word which matches a prediction in view from the outset. The performer is seated in the audience throughout! Joe Atmore said "I loved your newspaper test! At first I was thinking it was a standard bit - but when you sat down in the audience, I thought otherwise. You had me guessing all the way up until the reveal. Very nice structuring to the routine. You had me when the spectator chose I think 10 and then the person on stage counted down and you weren't involved at all. Being the kind of guy I am, I tried to work it out, but didn't come up with anything satisfactory. Are you going to release it?" The Pro Envelope - Perhaps the easiest and most versatile gimmicked envelope. Survivor - You predict the last man standing in a live version of the popular TV show. Anchors AHoy - Possibly the most convincing version of the David Hoy Tossed Out Deck yet. Colossal Card Memory - Memorise an entire deck of giant cards, bizarrely with no memory work! Pineapple Surprise - Sean's marketed comedy cabaret effect with new work for the mentalist. MindChange - A unique handling for Kurotsuke with borrowed coins. Persuasive Banknight - Sean's opening effect for over 5 years. Finally 'Banknight' makes sense. N Johnson said: "The highlights of the book for me are his tossed out deck, bank night and a fantastic newspaper prediction that plays for a massive crowd. In the tossed out deck, there are several great subtleties and details that make this utterly convincing. If you enjoyed Wayne Dobson's tossed out deck, you'll love this. The bank night manages to make mentalism funny without trivialising it. There is also the instructions on how to make a GREAT, if somewhat fiddly, double envelope as well as several routines for it. I've always felt, that one of Sean's great strengths is using psychology and presentation in getting simple methods to play convincingly. It's a great book from a straight talking, no BS performer who cuts to chase and cuts out the filler." Richard Paddon said: "The items which stand out for me include Tossed Deck, Survivor, the Newspaper Test, Persuasive Banknight, The Chair Prediction and Colossal Card Memory which personally, I hope goes unnoticed. The Chair Prediction is a great routine. It plays large to any size audience, is fun, has two separate impossible revelations and it fools. Many of the routines are of the "pack small - play large" style. This is a book from a working pro. The routines have been performed by Sean and are fully developed mentalism routines. In fact, some are still part of Sean's corporate act! They include psychological convincers for people already working this kind of material, such as his additions to the tossed out deck. The explanations & descriptions are very detailed. The essays are very good and most informative if you are trying to become a working mentalist. I'm sure those who saw Sean perform some of these routines and lecture at MINDvention would not hesitate to obtain a copy. When one considers the prices of many one-trick DVDs and ebooks containing four or five tricks, MindStorms has to be the mentalism bargain for this year." Sean Mergard said: "Like all of the reviews, I was far from disappointed. Everything in the book is completely practical, easy to understand, and most, if not all are very easy to perform. Sean also takes a deep look into the business of mentalism in addition to discussing the performance aspect. This "worth the cost of admission" chapter at the beginning of the book is a precursor for the rest of the book. Most mentalism and magic products have one "worth the cost of the product" effect or idea between their pages or chapters. In Mindstorms case, however, every effect is a "worth the cost" effect. Not only is the book easy to understand, but Sean shares presentational ideas and additional methods to assist the reader in performing these miracles immediately. The cost of Mindstorms is just a small price to pay for copious time-tested, meticulously crafted routines and presentational ideas from a true professional of mentalism." J Atmore said: "I loved your newspaper test! At first I was thinking it was a standard bit - but when you sat down in the audience, I thought otherwise. You had me guessing all the way up until the reveal. Very nice structuring to the routine. You had me when the spectator chose I think 10 and then the person on stage counted down and you weren't involved at all. Being the kind of guy I am, I tried to work it out, but didn't come up with anything satisfactory. Are you going to release it?" M Mats said: "Not often you find a book where you could use basically all of the material, but this book is such, and I like it extra because Sean is not just telling you the effects but also how he found the way to them and his experiences from performing and testing them. This can only be done by a Mentalist that really is an experienced performer and there're few books around like this. Only one more thing to say, get it as you will not regret it!" B Seeley said: "This book is *GOLD! *, but I don't want everyone buying it. Then the tricks become devalued, and I have to find another source... I told Richard not to mention the Newspaper Test - I want to use it myself! Hopefully, this will only be read by people who will treat this book with the esteem and value it deserves." G Arce said: "It's a great book. Loved the pineapple effect." A Kershaw said: "I wanted to congratulate you on your writing of MindStorms, having purchased a copy on Christmas eve. I hadn't realised that you were such an accomplished writer. I've read about 2/3 of the book, and there literally isn't a single paragraph that doesn't include some either useful, interesting or insightful information. I have found that you have written in a very engaging way. There is a little assumed knowledge, but the book still remains very readable, even for a novice such as myself. The thing I find most interesting, and refreshing are your observations and descriptions of your thought process: extremely insightful. And you were right, your newspaper effect reads very strongly indeed. I look forward to completing my reading, and then beginning to re-read the book, and the many hours of enjoyment I'll take from the publication. Thanks again, and please write more!" 1st edition 2008, 218 pages.